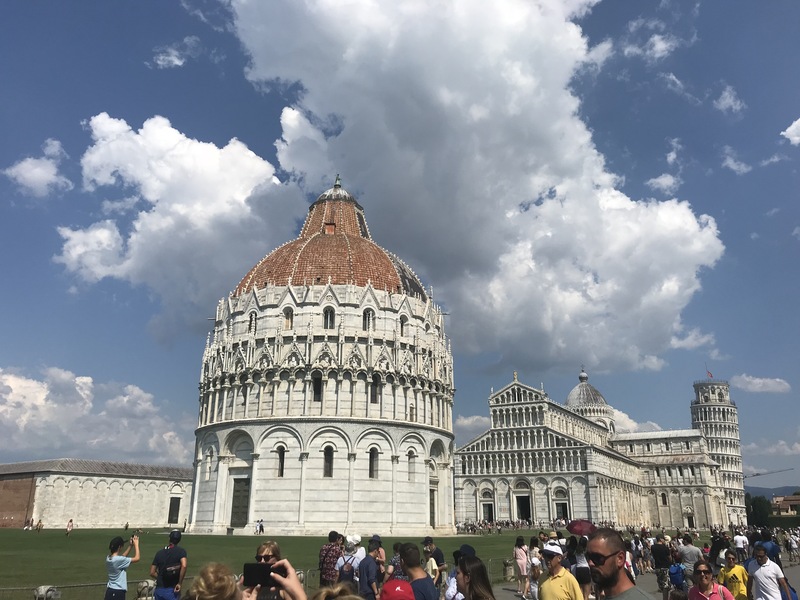 A Mediterranean Cruise (1/5): Fiddling while Rome burns? [Y]e walk on My earth complacent and self-satisfied, heedless that My earth is weary of you and everything within it shunneth you. There are four main things I have learnt from mindfulness of the natural world: acceptance, patience, impermanence and interconnectedness. In a way this captures the whole ambivalent nature of my cruise experience. I was travelling in a microcosm of our larger world, a mobile self-contained community culture in itself – a massive technological marvel, more like a floating city centre than a boat. As the more than three thousand of us moved across the planet fed, entertained and watered in our apparently innocent pleasures by a crew of more than one thousand, floods killed in Kerala and earthquakes in Indonesia, hurricanes threatened Hawaii and there was talk of impeachment in America. We were not quite emperors fiddling while Rome burned, but certainly we could not unfairly be described as the privileged many indulging ourselves while the Arctic icepack melted in unexpected places. In a very real sense this was a mind-broadening journey on many levels and across many different kinds of territory. There was the literal journey, which had its peak experience moments, such as the one in the Amphitheatre in Cartegana. There was the arc of travel via the visual arts, of which our encounter with Goya via Dali in the ship’s Gallery was the best example. These images from the tensions and tragedies of the Spanish past brought us face to face with the ongoing trauma of the Rohingya and the refugees from Syria, forcing us to see that we are still replaying the same heart-rending situations as were enacted in Europe in the 19thand 20thcenturies. There was my journey to somewhere closer to the centre of the earth via my reading, something already hinted at in my references to Fortey’s book, but which was deeply enriched by my exploration of the poet John Clare’s life, courtesy of Jonathan Bate’s biography, which I read as a kind of sequel to his equally enthralling Song of the Earth. The ship too had something to offer in that respect with a talk about and a brief glimpse of dolphins, along with, of course, some spectacular sunsets. Watching the wake of the ship one day I also came to realize with what stunning accuracy Hokusai had captured the behavior of deeply disturbed foam. Art and nature are often not very far apart. I’ll come back to all these later. 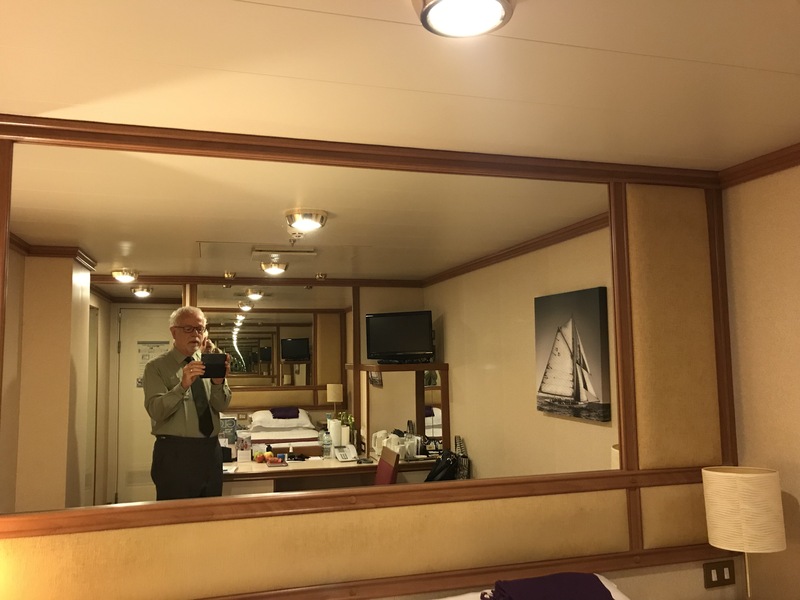 Adapting to the cruise experience was initially quite demanding for this fussy septuagenarian. The cabin was tiny, and the hall of mirrors effect did little to compensate. I never felt like a king of the ‘infinite space’ Hamlet refers to, though the mirrors facing each other created an illusion of infinite regress. I remained very much ‘bounded in a nutshell’ throughout the journey, but that bothered me less as days passed by. In a way it was more like Macbeth than Hamlet, even though I had not ordered anyone to be killed. I was ‘cabined, cribbed, confined’ rather by the doubts that come from possibly contributing to the deaths of others by my life style. Just as the idea of the ship as a microcosm of our society stuck with me, so was the prison cell aspect of the cabin something I could never quite shake off, partly I think also because the freedom afforded by the decks outside was still constricted, except when we had docked. I was, and am still, very aware that a luxury cruise is about as far from a real prison experience as it’s possible to get, but I am also very aware that if I chafed to this degree over these minor constraints how painful must a real prison be. This was another way in which the cruise experience deepened my understanding of apparently unrelated things. Sleep was another unexpected addition to the price tag. I lost quite a lot of sleep as a result of the grumbling engine and other noises at night. As a result I’m now not quite as rested on my return as I had hoped to be, another trigger to deeper insight into how it must feel to be even more sleep deprived in far more testing circumstances, such as the involuntary travel demanded to escape death or persecution. You may be wondering by now why I ever booked onto a cruise in the first place. I’m shaping up to be the archetypal killjoy and spoilsport. Partly it was in memory of my Aunt Anne, who went on a cruise to ease her grief two years after the relatively early death of her husband. It certainly helped her. She was someone I felt close to, admired and respected. Somewhere deep down I’ve always had the feeling I should try out the same experience, in spite of my reservations about its being an unnecessary indulgence. So, eventually I bit the bullet with mixed results. 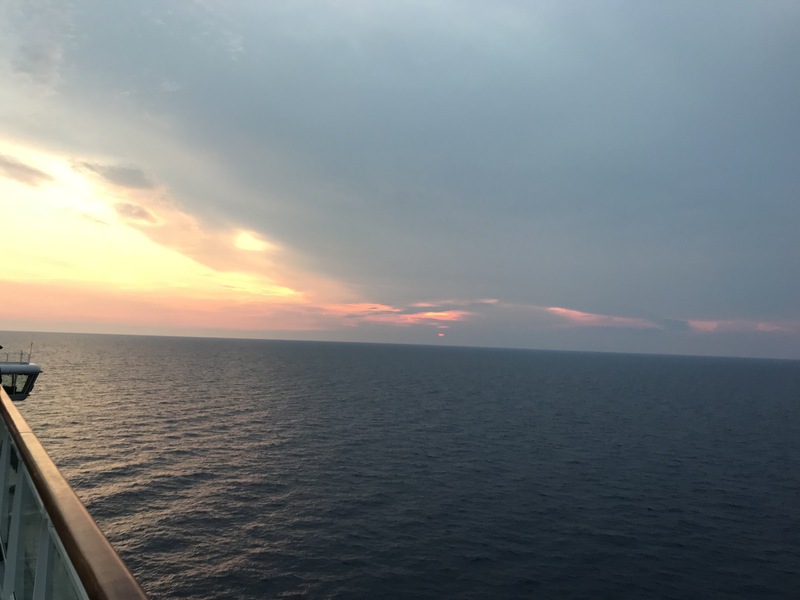 To be completely honest, there was also the need I felt to step off my treadmill of tasks for a short time, and the cruise seemed to offer a good way of doing that. On the whole though, in spite of these whinges and of the poor quality of the vegetarian food options, I can’t really complain. We were well looked after, and the ship provided all the customary escapes and distractions we need to keep our trance of materialism deep enough to persuade us we are happy. My disappointment is my fault. How would I realistically expect a holiday cruise to bring me closer to nature in a rapid well-encapsulated sea journey and enrich my understanding of other cultures in a series of one-day exposures on land to basically shiny tourist resorts? I am grateful to the cruise company that we were assisted to arrive where we could enjoy at least two enlightening self-conducted explorations, one in Pisa, where I found treasures I’d missed in a 1978 visit, long before the more recent spate of suicides from the Torre Pendente, and one in Cartagena, which I would never have dreamed of visiting had it not been for this cruise. I now need to spell out in more detail some of the ways that the literal voyage intertwined with other kinds of journey to expand my understanding and awareness. I can begin to look at the first kind of voyage straightaway. Cartagena took us completely by surprise. 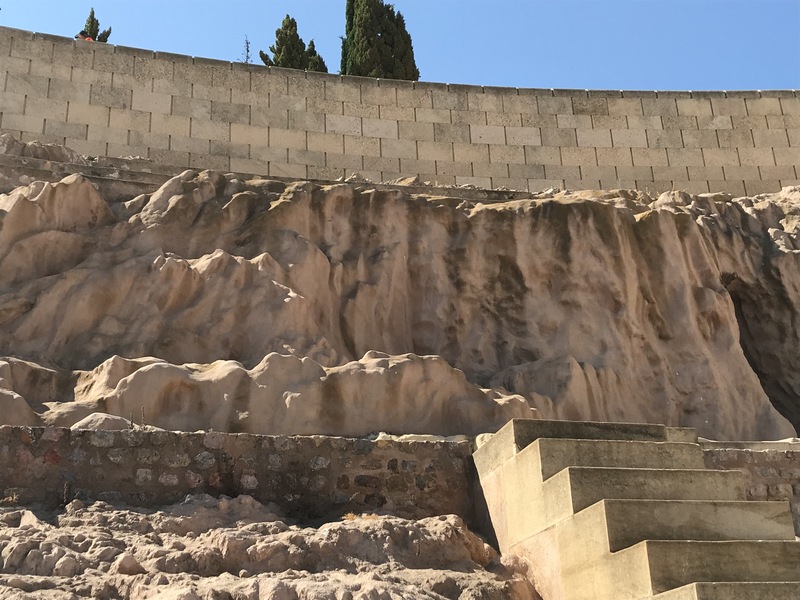 We never expected to find something as breathtaking as these remnants of the Roman amphitheatre that had been so recently uncovered. Built originally in the last decade BC, it had been lost completely to sight after the 13thcentury cathedral was built over the seating area. In 1988 the first remains of the theatre were discovered during the construction of the Centro regional de artesanía. The archaeological excavations and the restorations were completed in 2003. In 2008 a museum, designed by Rafael Moneo, was opened. The size of the intact span of the seating area was stunning. We stepped from the relative darkness of the museum, rich in background tamed by display cabinets, into the full glare of the Amphitheatre’s arc at the level of the very top of the seating. As we explored the magnificent ruin, in all its damaged glory and pride, my admiration and pleasure began to mingle with a sense of sic transit gloria mundi. As this leached more deeply into my experience of the sunlit stonework, I couldn’t help but apply the same warning to the cruiseship I was travelling on, especially as many places in this part of Spain, not just Cartagena, have a complex history involving fallen civilisations still detectable not just in Roman, but also in Byzantine and Moorish traces. The ship was tempting us all to remain trapped in a glittering simulation of reality, in the same way as the Roman people were placated by that Empire’s bread and circuses. 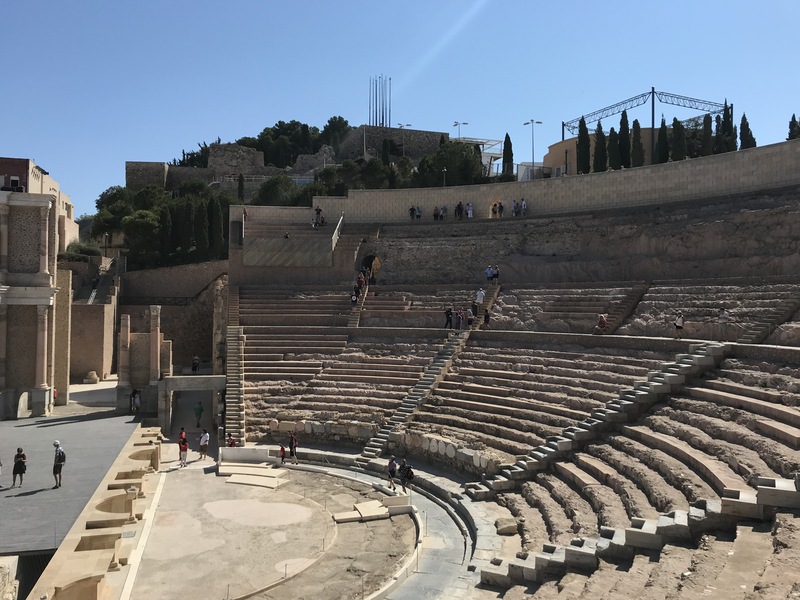 In terms of its purpose, and setting aside gladiators and the perhaps exaggerated connection between Christians and lions, the Amphitheatre was just the Roman equivalent of the Cruise and of all the other trance-inducing trappings of our materialistic civilisation. Its ruins, a symbol of the typical fate of all civilisations no matter how apparently invulnerable, were making it impossible for me to evade the real nature of the journey I had embarked on. Why should our cruise and all it stood for be an exception? Why should I not be at risk of the shock of similar losses? After all, the kind and helpful steward who took care of our cabin would soon be distressed about the disappearance of his cousin in the wake of the second earthquake in Indonesia. That was a reminder quite close to home. Other insights triggered by the cruise will have to wait until next time. Good heavens! What a coincidence! My wife and I also just finished a Western Mediterranean cruise, over the last week of August/early September aboard the Norweigan Epic. I do so hope that we were not on the same cruise and missed each other! We went from 11-25 August so we couldn’t have coincided, sadly. We were also on a different ship. 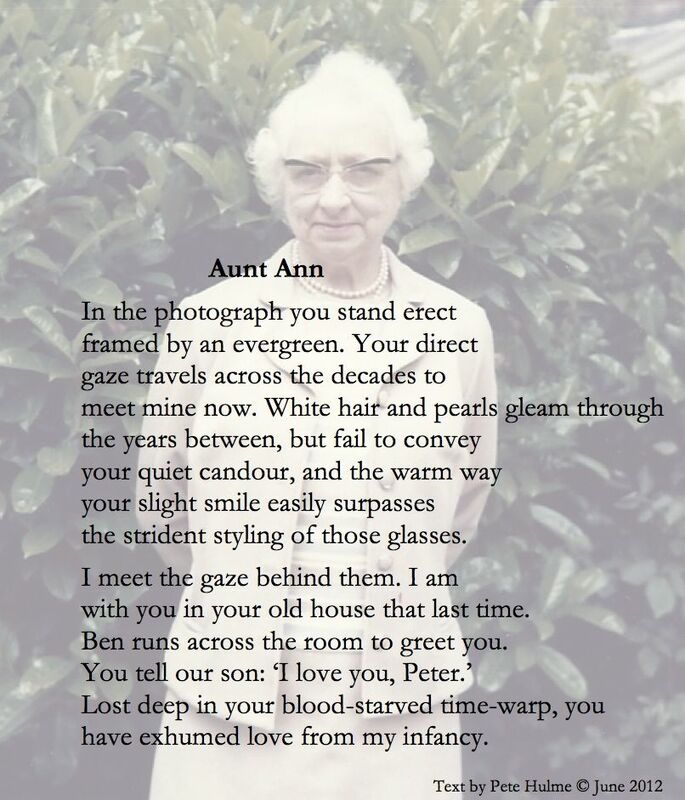 By the way, love the poem.